Presents Please Collection, Pop-up Box, 3" x 3" x 3-1/2"
Dimensions: 3" x 3" x 3-1/2"
Presents Please Collection, Pop-up Box, 4" x 4" x 4-3/4"
Dimensions: 4" x 4" x 4-3/4"
Presents Please Collection, Pop-up Box, 5" x 5" x 6"
Dimensions: 5" x 5" x 6"
Christmas & Holiday Gift Boxes is popular choice among retailers. 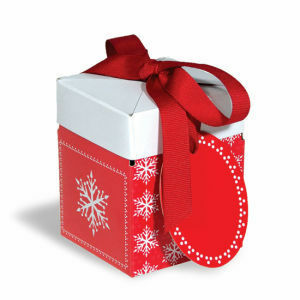 American Retail Supply supplies a wide variety of Holiday Gift Boxes in an array of sizes and colors. We even ship same day if all orders are placed before 4pm PST. Our same day shipping isn’t tied to just Christmas & Holiday Gift Boxes, as this applies to all other products. Place an order over the phone to speak with a LIVE product expert, who will quickly answer any questions, 1-800-426-5708.